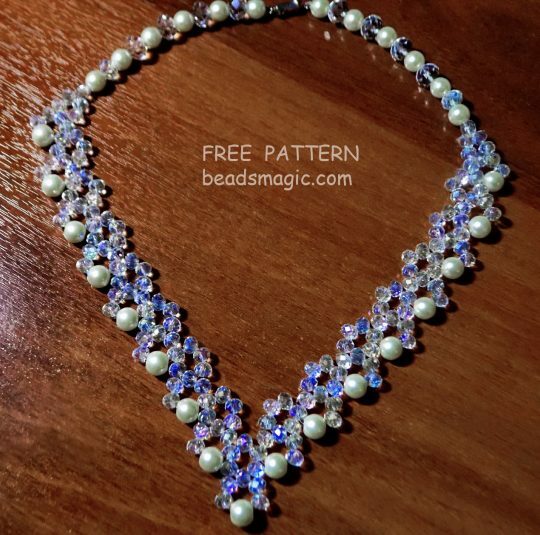 In stead of creating your own patterns you arw copying pattern that was design by me and was published in Bead&Button magazine and In Creative Beading by Kalmbach. Can you be decent and respect others creation???? 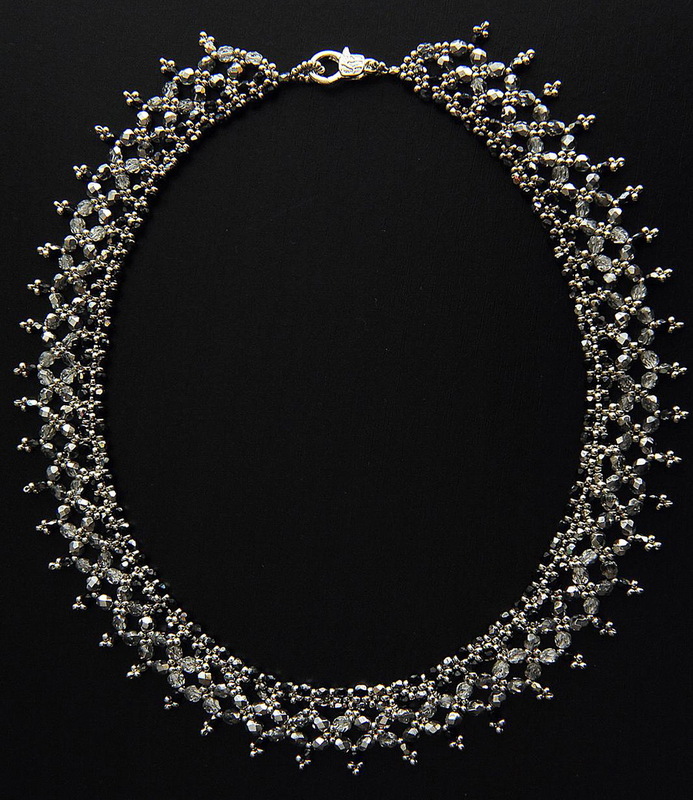 I made the necklace that was published in Bead and Button, and there are subtle differences, namely the size of the beads and the color of the crystals. There aren’t many “new designs” out there. Almost every pattern is a variation of another one. If you publish a pattern expect someone to make a variation of it and be honored if they take it a step further. If you don’t like that idea, then don’t publish it for the whole country to see! How many bead counts for both 4mm and 6mm, please? Hi, I would like the amount of beads to be given too. 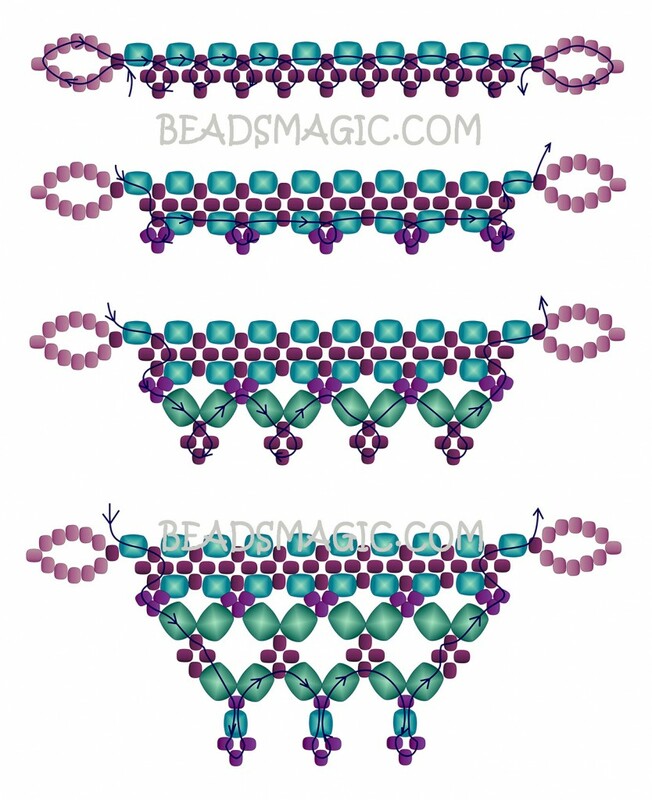 It would be tragic to attempt to make one of your beautiful free patterns and run out of beads half way through. 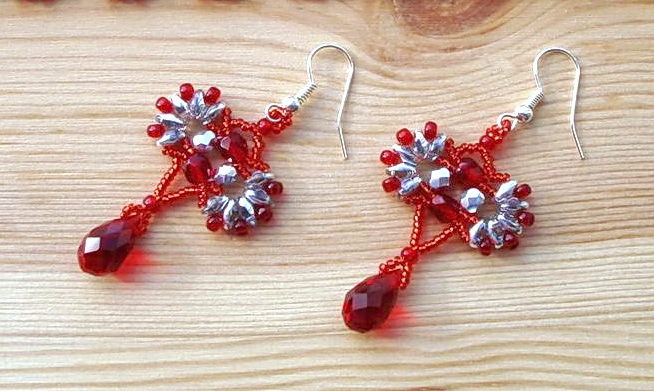 Imagine if you could not obtain the same colour beads! I live in Tasmania and I can’t always find a bead shop nearby.